Dazzle up your boring outfit by adoring a beautiful piece of bracelet. Browse through this write up to know the different types of bracelets to choose from. You are all set to go out for shopping. Your jewelry shopping list is complete. Pair of earrings, rings, necklaces, you have them all. But you forgot to list accessories for your bare wrists. Enter bracelets that complement any of your plain outfits and add a zing to them. Attractive, beautiful, and versatile fashion accessories, bracelets, can range from elegant and classic to contemporary and chic. 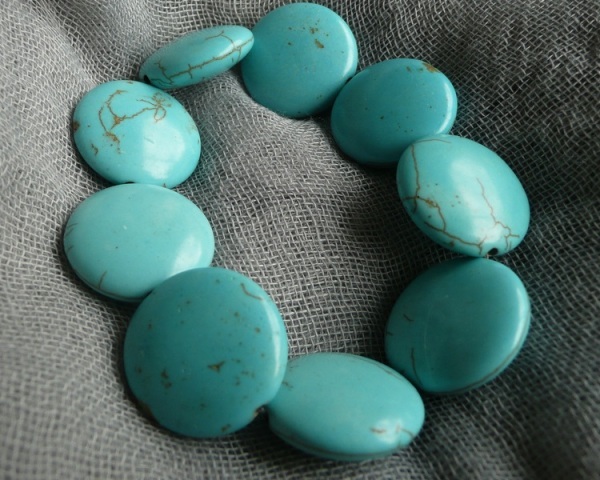 Right from young girls to older women, every one is familiar with bracelets. And why not! After all, they are available in different designs, styles, colors and sizes to fit anyone and everyone. Though initially they were made from natural materials, such as wood, leather, bone, twigs, they are now found in precious and semi-precious metals using semi-precious and precious stones. Let us look at the different types of bracelets you can choose from for different occasions. The most popular kind of bracelets, a charm bracelet has special and delicate charm, such as decorative pendants or dangles beautifying the accessories. They instantly push up the glam quotient of one’s attire and are generally found in young girls’ and teens’ wardrobe. They offer different themes to wear on a woman’s sleeve, such as a cause, marking a special occasion, or simply sporting your attitude. Italian charm bracelets are a variant of charm bracelets characterized by small glass rectangles inserted into the bracelet. Unlike the whimsy traditional charm bracelets, an Italian charm bracelet is flat, practical, and easy to wear daily. Another popular choice amongst bracelets is the beaded bracelet. It can be either stretchy or have a clasp, made of glass, crystal, or semi-precious beads. Beaded bracelets are considered to be a high fashion trend worn on all kinds of occasions. Though the simplest of them is just a strand of beads with a clasp, you can find elaborate beaded bracelets or small seed beads woven together to form a bracelet. Also known as jelly bracelets, sports bracelets are made from silicon rubber and contain a message or trade mark engraved. These are generally used for creating awareness about issues or raising funds to help people suffering from cancer, AIDS, and other diseases. Available in bright and loud colors, sports bracelets are unisex and are popularly gifted as friendship bands as well. Loose fitting circular bands available in assorted widths, ranging from 1/8th inch to 1 inch, are called bangles or bangle bracelets. Solid in nature, one can wear narrow ones in large groupings, while the wider ones need to be worn limitedly. Made in myriad hues and materials, you can find bangles in glass, wood, metal, plastic, bone, gold, silver, and platinum, in different price ranges. Right from plain solid color to colorful design engraved/ painted on them, you have numerous designs and colors to choose from. And best of all, they look cool on all sorts of apparels. Also referred to as snap bracelets, slap bracelets are mostly worn by punks and teenagers with gothic personalities. They are distinguished by a leather black background with spikes or sharp edges protruding from them. These were mostly popular during the early 1990s amongst children, pre-teens, and teenagers, but were later banned due to the injury that they could cause to other people. However, they are still worn by people on casual occasions and can be found in neon colors and trendy graphics. Picture yourself donning cowboy skinny jeans and boots but your hands are bare. Slip on a leather bracelet and your real macho cowboy look is complete. Available in various colors, these bracelets are fitted to the exact wrist measurement that is fastened using a metallic snap button. Found in assorted designs, the most common of them are flat leather bands, either plain or with metallic studs or self color embroidery or embroidery with multi color threads. You also have braided leather bracelets that are plain, colorful, or metallic. Slipping on a leather bracelet can add spice to any of your casual outfits.